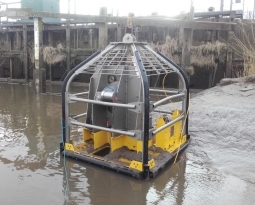 In Situ Site Investigation have recently carried out overwater seabed cone penetration testing (CPT) as part of the Stranraer East Pier overwater near shore marine ground investigation. 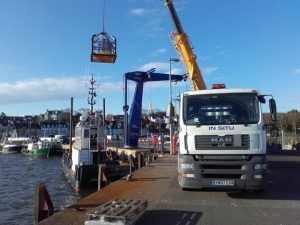 The work was carried out as part of the planned redevelopment works for the former high speed ferry link terminal connecting mainland Scotland to Northern Ireland and Ireland. 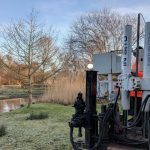 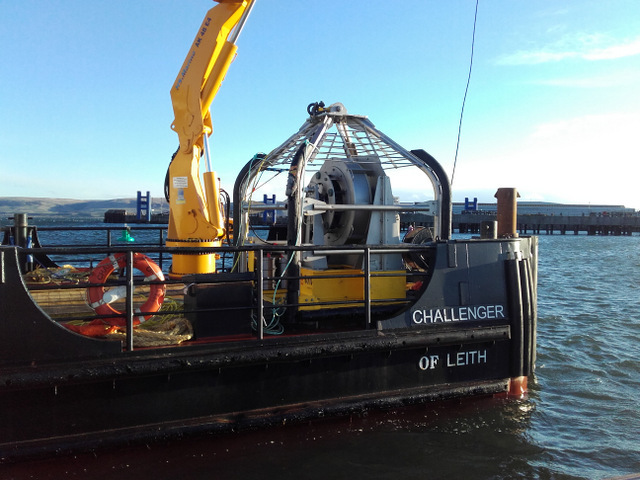 The project involved over twenty cone penetration tests carried out over a period of four days, using a specialist 4.5 tonne capacity off shore Neptune 5000 Marine Seabed CPT Unit utilising a bespoke 20m digital cone coiled push rod system. 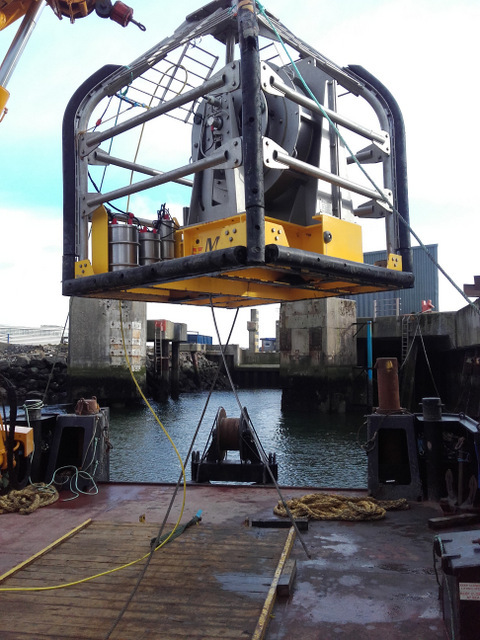 At each test location, the CPT unit was lowered to the seabed from the deck of a multi-cat support survey vessel via the vessel crane and primary deck winch, allowing the vessel to hold position without moving the CPT unit while each test push was completed. 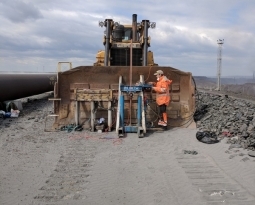 Measured digital data from the cone is transferred through a control umbilical cable to the top side system control cabin on the ship’s deck, allowing real time observation of the ongoing test parameters. 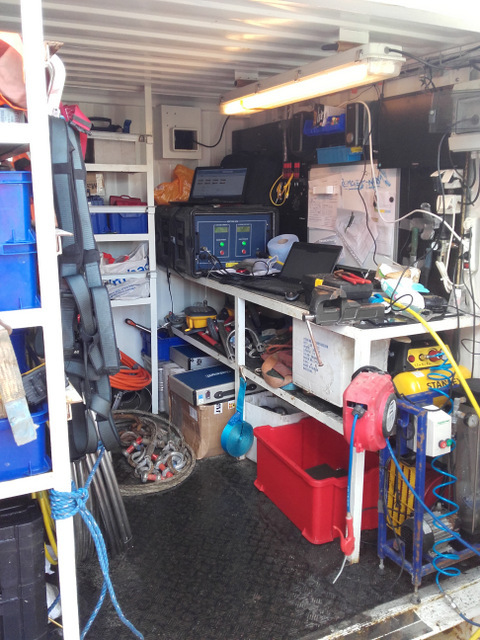 The seabed unit provides a very rapid deployment method, allowing multiple CPT tests to be undertaken within a very short period of time. 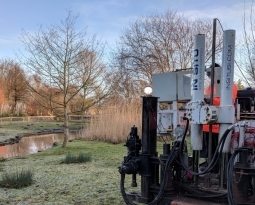 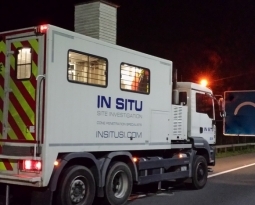 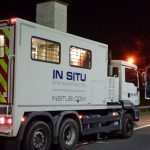 Each test can also be undertaken without the requirement to deploy a static marine platform or pontoon for shallow water and near shore investigations.